Domenique Simpson has been teaching swimming lessons for more than 5 years and joined WeAquatics in 2017. 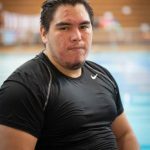 He was taught to swim at an early age by his father who encouraged him to try competitive swimming. 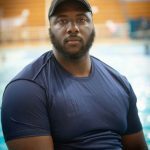 Over the years he has worked with students of all ages and his specialty is swim team prep. Domenique enjoys the journey that is learning to swim. Enabling his students to find a love for swimming as an activity or a sport is what motivates him. He is patient and has a passion for teaching. Domenique’s favorite stroke is Freestyle.